Every mathematician's child needs a Pi Guy! She is currently working on the scarf for her husband, the Edie tee and the crochet Latticework Cardigan that she cast on for the Spring Fever Knit/Crochet Along. The crochet cardigan is coming along! 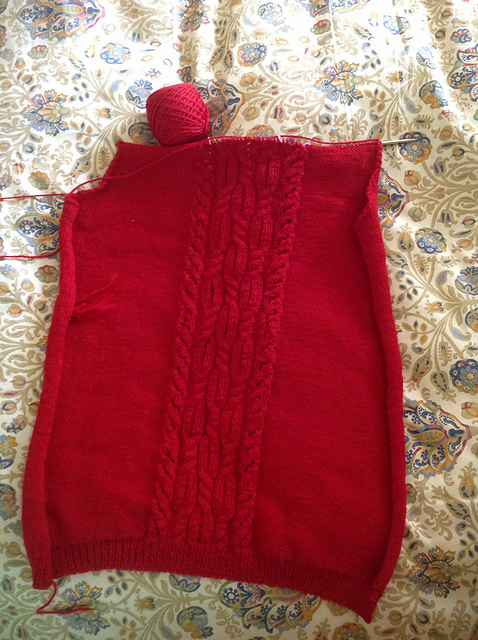 Marsha continues to work on her Fairfield Cardigan by Michele Wang, but progress has slowed because she has started new projects. (What was she thinking!) 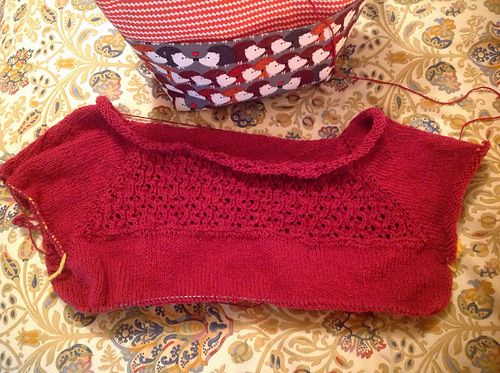 She has finished the deceases for the armhole and will soon start the shoulder and neck shaping. She is making good progress on her Ricky for All Seasons by Vera Sanon and is about to start the shaping decreases for the body. 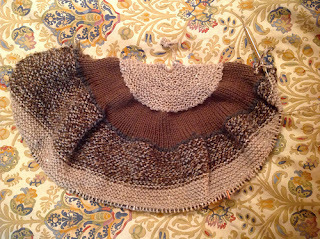 In Episode 41 Marsha discussed her plans for a shawl using the Spirt Yarn from the NoCKR's detash room. She took home with her a skein each of Cascade Yarns Alpaca Lana D'Oro (multi), Knit Pics Capra (brown), and Ranch of the Oaks Alpaca (grey). She purchased a beautiful skein of The Fiber Company Acadia (cream) that coordinates beautifully with the Spirit Yarns. She cast on the shawl Sunny Delight MK2 by Brian Smith. Marsha also has a self-imposed deadline to spin all, or at least part of, the two fleeces she purchased last year at the Black Sheep Gathering before she attends this year's festival in June. Kelly discusses some Fiber in the Wild. 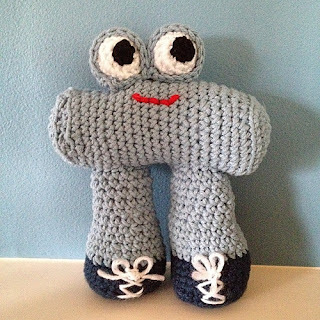 We have a discussion thread in the Ravelry Group for the Spirit Yarn Along. 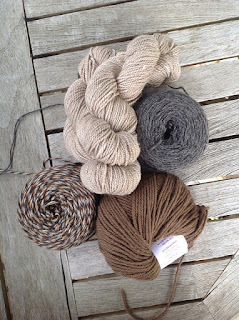 Use your spirit yarn (whether de-stash or DEEP stash) to make something between now and June 30. Talk about it, show us pictures, and share the creativity. Winners will be selected randomly from the thread. Kelly is looking forward to Spinning at the Winery on June 4, held by the Treadles to Threads Guild at the Retzlaff winery in Livermore.